Dual Masters champion Bubba Watson has been lured over to China to again headline the field for the Shenzhen International, but two Englishmen who have shown much better form this season seem likely to upstage the American raider. Watson, who has become slimmer than ever since quitting fried food, has been abysmal this year. His approach-play has been wild and his short-game an embarrassment. He even missed the cut at his beloved Augusta last time out. Tommy Fleetwood, in contrast, has enjoyed a career revival. Victory in the Abu Dhabi Championship at the end of January was reward for reverting to the swing which made him a European Tour champion in the first place. He is back with his original coach and has been striking his ball with immense authority for months. 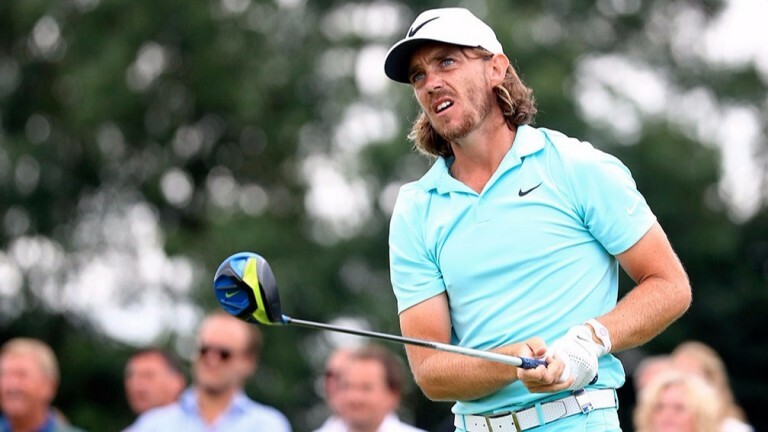 Fleetwood followed up his Abu Dhabi glory with the runner-up spot in the WGC-Mexico Championship at the start of last month, banking a cheque for almost a million euros. Tenth place on his Bay Hill debut was another excellent effort next time out. Punters who are ignoring Fleetwood for Shenzhen on the basis of his last two starts are being extremely harsh. He failed to progress from his group in the WGC-Match Play, but so did 47 others in the 64-man field. Getting into the knockout stages of the Match Play is tough, and it is also easy to forgive his missed cut on his Masters debut last time out. Fleetwood can approach Genzon GC with extreme confidence, not least because of the superb golf he has produced there previously. He arrived for the 2014 China Open having missed three of his last four European Tour cuts, but finished runner-up. He was third in the 2015 Shenzhen International, missing out on the playoff by a shot, then 19th last year. Fleetwood's last trip to this region ended in third place in the Hong Kong Open. An all-English duel on Sunday between Fleetwood and Ross Fisher could be in the offing. Fisher has a fantastic record in China, having twice finished in the top three of the HSBC Champions, as well losing a playoff for the 2014 BMW Masters. Expect the Ascot man to build on his share of 16th place at Genzon from 12 months ago. Fisher has always been powerful and is well suited to the wide-open Genzon – he crashed a drive 423 yards at the WGC-Match Play last month – but recent short-game improvements make him a must for the Shenzhen staking plan. Working with Ken Brown and a new putter, Fisher has suddenly starting holing with confidence, and he should go close to a sixth European Tour title on Sunday if retaining his flat-stick form. Fisher was third in the WGC-Mexico Championship, a losing quarter-finalist in the WGC-Match Play, and his last visit to China yielded a tie for sixth place in the WGC-HSBC Champions. Watson is difficult to fancy, but the Stars and Stripes could still be strongly represented at Genzon. The man most likely to challenge Fleetwood and Fisher is probably Peter Uihlein, who has returned from an injury layoff looking better than ever. Uihlein has made ten cuts in a row, a streak which started just south of Shenzhen with 14th place in the Hong Kong Open just before Christmas. He has made the each-way places three times since, one of which was on the US Tour in the Puerto Rico Open at the end of last month. Uihlein was in terrible form prior to the 2014 China Open, so that missed cut should be ignored, and a wrist injury was taking its toll when he missed the cut by a shot at Genzon last year. He went under the knife soon after. Uihlein is course-proven, having finished fourth in the 2015 Shenzhen International, a tremendous performance at a time when he was working on swing changes. Everything points to a bold title title from Uihlein, while Nacho Elvira is worth an each-way investment at a big price. Punters and bookmakers alike have been quick to dismiss Elvira, who has missed four cuts in a row, but the last three cuts were each by a single shot. The Spaniard is not in bad nick and was playing superbly before this fallow period. Elvira was sixth in the Qatar Masters at the end of January, then 11th in the Dubai Desert Classic. He was eighth at Genzon last year and he says the course reminds him of Foshan GC in China, where he won his maiden Challenge Tour title in 2013. Elvira has since added three further CT victories and at the age of 30 he looks ready to triumph in the higher grade. The classy South African youngster missed the cut by a shot in Morocco last week, but could easily bounce back at Genzon, where he was runner-up 12 months ago. China's great hope has already become a European Tour champion in his homeland (2016 China Open) and he was a playoff loser at Genzon in 2015. Dangerman if can handle the pressure. The Dane has been quiet this year but is capable of winning tournaments of this stature without providing any warning. He finished eighth on his Shenzhen debut last year. The power-packed South African, like Fleetwood, has rediscovered form since switching back to his old tutor and swing. A threat to all on a course which suits. The 2015 Shenzhen champion is difficult to dismiss, although the Thai's 2017 campaign has been inconsistent as he works on swing changes. Course winners taking part Alexander Levy, Kiradech Aphibarnrat, Soomin Lee. Last week – Hassan II Trophy 1 E Molinari (150-1), 2 P Dunne (50-1), 3 P Waring (110-1), T4 V Dubuisson (50-1), L Jensen (150-1), T6 D Brooks (200-1), C Hanson (66-1). Course overview The Neil Haworth-designed championship course at Genzon Golf Club, which was the venue for the 2014 China Open, staged the inaugural Shenzhen International in 2015. The field comprises 100 European Tour players, 50 from the China Golf Association, plus six sponsors' invites. The course was opened in 1995, but did not become a potential tournament venue until a renovation over 2007 and 2008. The fairways are wide and the rough is insignificant, so low scoring is probable in fair weather. Pristine 'platinum grass' greens make the layout even easier for the competitors. Trees line the fairways and there are plenty of water hazards, but only seriously errant shots are troubled by them. Story of last year An eagle at the 17th hole of the final round was key to the maiden triumph of Korean youngster Soomin Lee, who beat Joost Luiten and Brandon Stone by a shot. Weather forecast Hot, humid, calm and stormy. Short thunderstorms forecast for Thursday afternoon, Friday afternoon, Saturday morning and Sunday morning. Type of player suited to challenge Ultra-aggressive players have succeeded at this venue – a straightforward assignment which lends itself to attacking big-hitters. Regular bursts of rain are expected to further assist the powerhouses.